LV.Net has 2 Data Centers in Las Vegas. 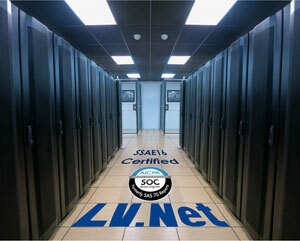 LV.Net’s Las Vegas data centers can be used for storing data and for running operating systems. Using LV.Net’s data centers in Las Vegas can help reduce the chances of data loss or system downtime by providing a safer and preferred environment for hardware and data. LV.Net’s Las Vegas data centers are designed to house equipment used to store data and to run operation systems on a cloud computing platform. The two data centers in Las Vegas offer redundant fiber optic connections and power supplies. Our data center facility provides superior grade data centers in Las Vegas for hosting servers, other hardware, and for receiving and transmitting important data. The data center facility’s Network Operations Center is built inside a former bank vault with steel walls. It has a diesel generator for back up power, redundant climate control, redundant backbone connections, and unlimited available bandwidth. The NOC has a non-liquid flame extinguishing system, and the network control center is external. LV.Net’s facilities in Las Vegas have been designed and built for data storage and hosting systems. The data center floors in Las Vegas have a high loading capacity. They are climate controlled for the best placement and use of computer equipment. Both Las Vegas data centers have backup power. 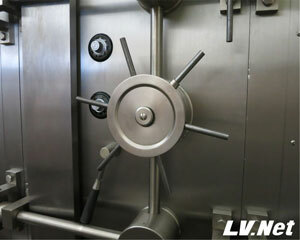 LV.Net facilities in Las Vegas have onsite physical security that provides equipment with protection from physical intrusion at the location where the server is located. Data centers in Las Vegas feature video surveillance, access control, and biometric security. Staff monitors the premises 24 hours a day. LV.Net’s Las Vegas data storage systems provide operations with a more secure and professional environment to store data and run applications. A company that chooses to locate its IT equipment in LV.Net’s Las Vegas data centers is in a better position to safeguard its data, provide physical security for computer equipment, and prevent IT issues from occurring.